James J. Abbo is an attorney specializing in the areas of estate and business succession planning, asset protection planning, probate and trust administration, and corporate and tax law. Prior to joining WY&R, Mr. Abbo gained public accounting experience in the audit department at Deloitte & Touche LLP. Mr. Abbo has substantial experience in administering large estates and counseling business owners with regard to various estate and tax planning, asset protection planning and business objectives. 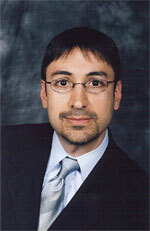 He is a graduate of the University of Michigan School of Business and the University of Arizona School of Law. Mr. Abbo is a member of the State Bar of Michigan and the American Bar Association.